Rid your home of dirt and grime without the harsh toxins found in other all purpose cleaners. 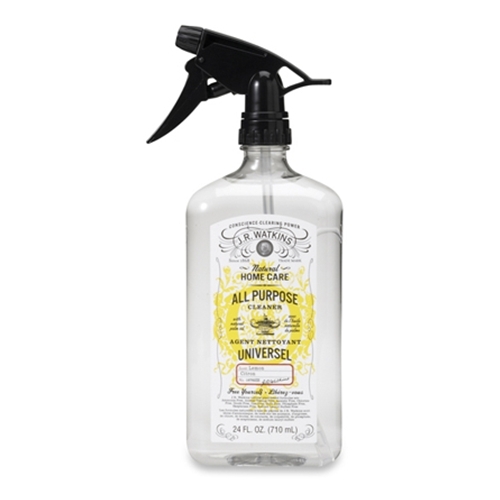 J.R. Watkins Natural All Purpose Cleaner quickly removes grease and grime from most surfaces in your home. You’ll find hundreds of uses for this great streak-free, earth-friendly cleaner. Directions: Spray and wipe area with paper towel or cloth. Test questionable surface in an inconspicuous area prior to use.